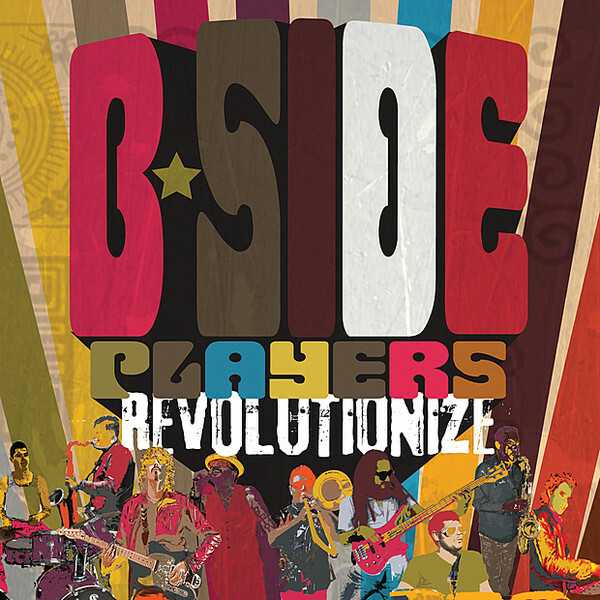 The B-Side Players are a Mexican cumbia/reggae band from Chula Vista, a city just south of San Diego. This is an extremely enjoyable band from San Diego that is great to see live or listen to on a sunny day. Most of their early stuff, such as Movement (where they do a great cover of Eric Burden’s “Spill the Wine”), is more rock/reggae where their later albums are more cumbia/reggae with elements of rock and funk mixed in. Karlos Paez is the man at the helm of this group of musicians. He sings in a mixture of English/Spanish depending on what the particular song calls for. Since my Spanish is pretty horrendous I enjoy having the English lyrics mixed in so that I have some idea of what is being said, but I also enjoy listening to the Spanish lyrics on the more Latin songs. Revolutionize is their newest release and is a solid refined album from this great local band. There are many guest musicians on this album including (but not limited to) the Grammy award winning conga player Poncho Sanches and local jazz legend Gilbert Castellanos who both contribute their talents on “Soul Music”, Ryan Moran from Slightly Stoopid who plays on “Nightmares into Dreams” and Paul Rauchecho from Ozomatli who plays on “Never Sell Your Soul”. “Soul Music” and “Never Sell Your Soul” are both great tracks musically as well as lyrically since they both deal with musical revolution and not selling out for easy cash. Revolution is the theme of this album as you can tell from the title. In this short promo Karlos explains how they were inspired by all the global revolutions that are occurring and how that influenced this album.